Picture driving around Ft. Lauderdale, FL in an elegant, large sedan that provides you with an extremely luxurious ride. If you’re searching for a new Toyota in Florida, visit Lipton Toyota in Ft. Lauderdale, FL. Our dealership is one of the state’s top-rated Toyota dealership and has served Fort Lauderdale, FL, Dade County, and Broward County for a number of years. We’re thrilled to have the 2016 Toyota Avalon at our dealership for drivers to explore. Visit Lipton Toyota at 1700 W Oakland Park Blvd. and experience the new Avalon today. For 2016, the Toyota Avalon receives a handful of changes that make the luxury vehicle better looking and more comfortable than before. To stick out of the crowd, the new Avalon gets LED taillights, a larger grille and slimmer turn signals. On the inside, the entire lineup gets a central seven-inch touchscreen and high-end interior materials, while individual-wheel tire-pressure monitors are on the outside. The Avalon XLE and XLE plus models can be fitted with woodgrain trim, while the XLE Premium trims obtain navigation and Qi wireless smartphone charging. As a luxury sedan, the new Avalon is equipped with a powerful engine that shines at providing drivers with a smooth ride. The Avalon features a 3.5L V6 that generates 268 hp and 248 lb-ft of torque. To provide its passengers with a comfortable ride, the V-6 is matched to a six-speed automatic transmission that has a sport-shift mode and throttle blipping on downshifts. 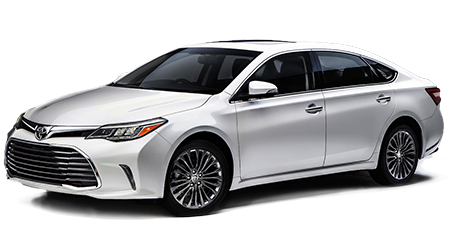 With its efficient engine and smooth transmission, the new Avalon can return 21/31 mpg (city/hwy). If you’ve been searching for a large, luxury vehicle that can handle a variety of driving situations with ease, then the 2016 Toyota Avalon is the vehicle for you. For our best price on a new Toyota, visit Lipton Toyota in Ft. Lauderdale, FL. We’re proud to be one of the state’s premier Toyota dealerships serving Dade County and Broward County, FL, and will get you into a new vehicle today. Stop by our dealership at 1700 W Oakland Park Blvd. and discover the new Avalon today.